Tonight at 10:35pm ITV will screen a documentary about how the British public, for the last 50 years, has responded with a huge amount of generosity to appeals made by the Disasters Emergency Committee. Every time there’s a natural or conflict driven disaster anywhere in the world, 14 of Britain’s biggest aid agencies, including Save the Children, Christian Aid and the British Red Cross to name a few, come together as one under the banner of the DEC who then organise the emotional celebrity led appeals that we see on our TV screens, or hear on the radio. In the 50 years since this British charity began, they have raised over £1billion to help relieve hunger and suffering around the globe, from Ethiopia and Rwanda to Somalia and Syria. The documentary tonight follows the charity through the last 50 years and 62 DEC appeals. 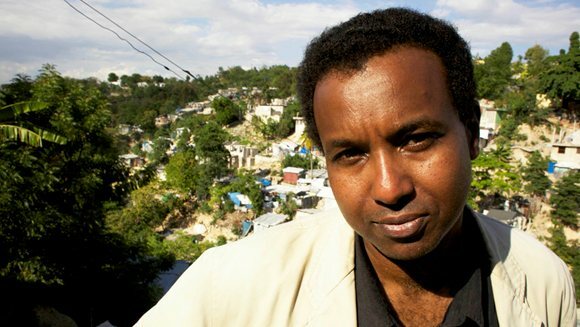 Aid workers talk about lessons learnt from dealing with some of the worlds biggest humanitarian disasters and the presenter Rageh Omaar travels to Haiti where three years ago 220,000 people died during the most deadly earthquake in modern times. He gets to see for himself exactly how the £107 Million you gave to the DEC’s Haiti Appeal has been spent including a visit to a school rebuilt with DEC money. 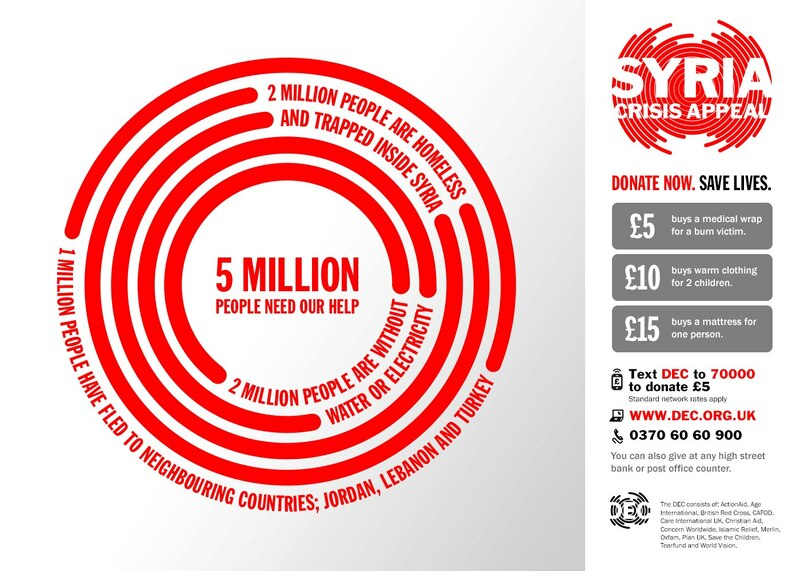 The documentary also goes behind the scenes to follow the story of the DEC’s most recent appeal – Syria. From concept to launch, the DEC team attempt to raise the vital funds to ease the suffering of the hundreds of thousands of refugees currently fleeing the crisis over the border to Jordan. 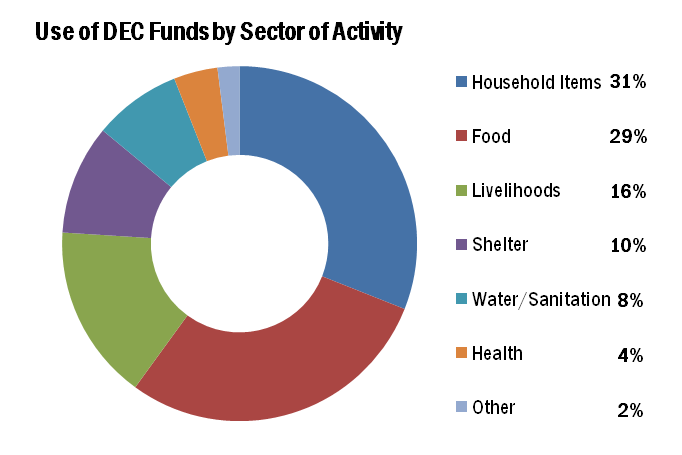 Traditionally conflicts never raise as much money for the DEC as natural disasters, but over the years the British have been very quick off the mark to donate their money especially during the Kosovo and Darfur crises and the 1984 Ethiopian famine. If you’d like to watch the documentary it will be screened from 10:35pm until 11:35pm this evening on ITV.